Black and white hues bring graphic contrast to the nostalgic mood of this long-sleeve top. Black and white hues bring graphic contrast to the nostalgic mood of this long-sleeve top. 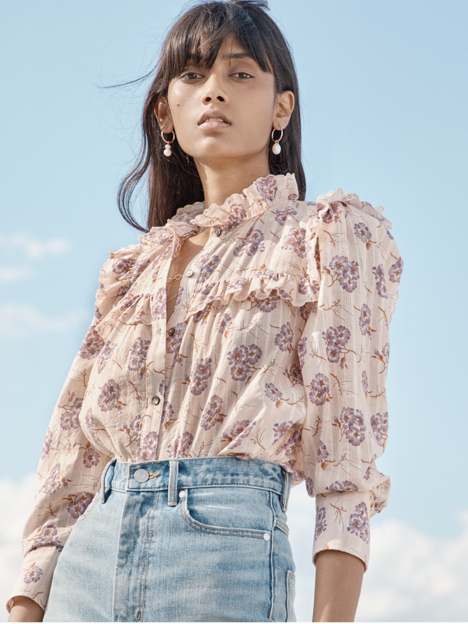 Scattered with intricate floral embroideries and fluttering ruffles, this top offers a modern take on feminine style.